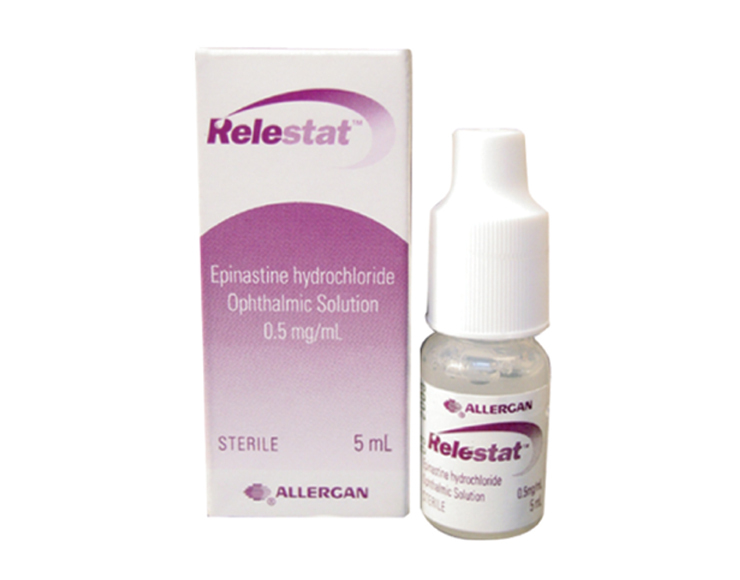 RELESTAT™ (epinastine HCI ophthalmic solution) 0.05% is a clear, colorless, sterile isotonic solution containing epinastine HCI, an antihistamine and an inhibitor of histamine release from the mast cell for topical administration to the eyes. RELESTAT™ ophthalmic solution is indicated for prevention of itching associated with allergic conjunctivitis. RELESTAT™ (epinastine HCI ophthalmic solution) 0.05% is supplied sterile in opaque white LDPE plastic bottles with dropper tips and white high impact polystyrene (HIPS) caps as follows: 5 mL in 8 mL bottle.